We highlight seven careers that boast a low unemployment rate that you can enter with an associate degree under your belt. 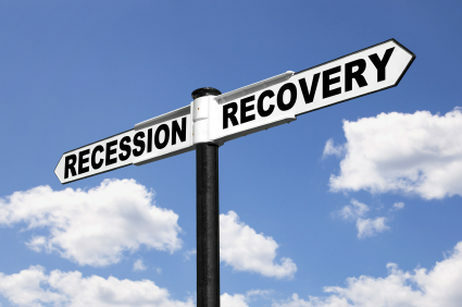 The recession and subsequent high unemployment rate have led many adults in a search for additional education that would lead to a recession-proof career. Fortunately, community colleges are set to deliver such degree programs, in everything from health care to computers. Consider these seven recession-proof careers you can get into with just a two-year degree under your belt. Healthcare is a booming industry regardless of what the economy is doing since people still get sick and need physicians and other medical staff. For those who like the stability of health care but don’t necessarily want to work directly with patients, healthcare administration might be just the ticket. This position entails handling the administrative duties in a physician’s office, clinic or hospital, such as maintaining patient files, setting appointments and handling insurance issues. Some administrators oversee an entire small office, while others might be responsible for a single department in a larger facility. According to Yahoo News, the unemployment rate for experienced healthcare administrators between 2009 and 2010 was just 2.9 percent – far below the national unemployment rate of 8.2 percent during the same time frame. For those who prefer to work with patients, the field of nursing is always looking for graduates to man positions. Nurses work in hospitals or clinics, or they may provide care in patients’ homes. This profession can be entered with a two-year degree, although many employers require additional education to advance in the field. Career Builder also advises that RNs must complete a national licensing examination to work in this position. 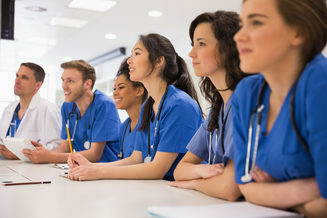 Career Builder also cites statistics showing the average annual salary for an RN is $46, 242 in 2009, and the expected rate of growth for this profession over the next decade is 23.5 percent. IT degrees are one of the most relevant today, and as technology is constantly changing, employers are on the lookout for recent grads with experience in mobile communication, smartphone apps, and cloud computing. Many who enter this field do so with a two-year degree, and many community colleges offer options that make it easy to find the best degree program for your needs. Yahoo News cites statistics for IT professionals, showing an unemployment rate for experienced graduates of IT programs at just 5.4 percent. Although the unemployment rate for recent grads was considerably higher, most predict this industry will continue to open up, ensuring those that do land jobs will be more likely to keep them. Crime does not stop when the economy slows down; in fact, this is often a time when criminal activity begins to increase. This implies that those who enter the criminal justice field will enjoy fair job stability even when the economy begins to go south. This field is a relatively open one that includes law enforcement, cybersecurity and paralegal work. With a two-year degree in criminal justice, there are many potential career paths to consider. Yahoo News reports that graduates of criminal justice programs with some experience had an unemployment rate of just 4.1 percent, while recent grads saw a rate of around 7 percent. Both numbers are still well below the national unemployment rate average. Reader’s Digest lists a number of positions in the energy field that require a two-year degree to enter and provide significant job stability. Power plant operators can earn an average annual salary of approximately $57,000 and insulation workers can make around $31,000 a year. These jobs can be entered with a two-year degree and some on-the-job training. The publication also states that as energy consumption continues to increase, the need for qualified workers will also remain high. The world of dentistry is also one that is somewhat recession-proof, as consumer still require dental care in all economic conditions. Dental hygienists play an important role in the dental office, as the first-line employee patients typically see for cleanings and education. This position can be entered with a two-year degree and state licensing. The Bureau of Labor Statistics states that in May 2010, the average salary for a dental hygienist was $68,250. The average growth for the field between 2010 and 2020 was predicted to be around 38 percent – much higher than the national average. The need for accountants and financial experts has increased in light of the need for better scrutiny and accountability in many fields today. 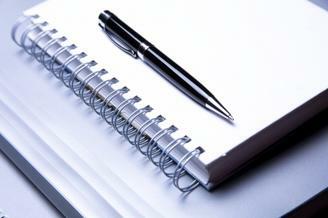 Accountants keep the books for companies and file tax returns for businesses and individuals. Although the Reader’s Digest suggests that a bachelor’s degree is needed to enter this field, many can nab a job as a junior accountant with an associate degree and work their way up the corporate ladder, either with on-the-job training or additional education in the future. Accountants make an annual average salary of around $57,000, with a bachelor’s degree. The unemployment rate for this field is around 4.8 percent for recent graduates, while the rate for experienced graduates was slightly higher. When jobs become scarce, it is time to explore your options in other fields and industries. There are a number of positions today that are relatively recession-proof since the need for certain skilled workers will always be present in any economic condition. While this is not an exhaustive list by any means, it provides insight into some of the industries that may remain relatively stable – at least in the near future. The good news is that many of these recession-proof jobs only require two years of higher education before you can find yourself back to work again.